Who wouldn't like a big-kid bunk and a slide? 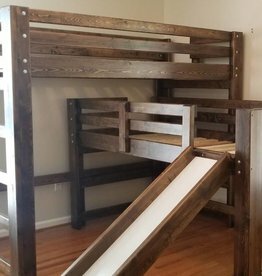 Available to order with the slide on the right or left side of the bottom bed. Measures: 81" approximately square with slide attached. Height of top bed is 72".